Two great voices. One incredible evening. 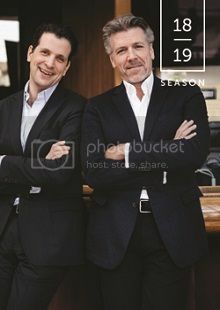 No tenors are needed when baritone Thomas Hampson and bass-baritone Luca Pisaroni (Hampson’s son-in-law) take the stage! Thomas Hampson (“without question one of the world’s greatest opera singers” —Good Morning America) pairs with the dark, powerful voice of Luca Pisaroni (“One of the Metropolitan Opera’s most dependably exciting performers . . .” —Time Out New York). 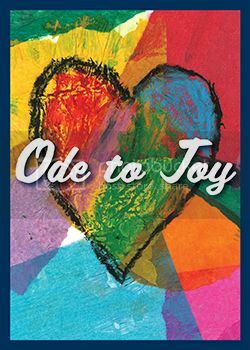 The singers will perform highlights of the operatic repertoire, greatest hits from Broadway musicals, and timeless classical and popular songs. 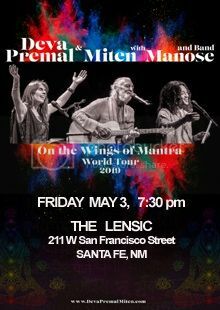 Their blend of sensual, groove based, east-meets-west style of music has attracted the attention of superstars, celebrities, and world teachers - even the Dalai Lama is known to include their chants in his private time. And they have also taken their mantras to prisons (such as San Quentin), homeless shelters and facilities for autistic children, where chanting offers an effortless path to ease the heart and quiet the mind. This planet is shaking and trembling. It is obvious that we cannot wait for peace to be delivered from 'the outside'. Deva & Miten are proof that chanting these ancient mantras opens the door to an inner sanctum where endless peace reigns. Alice Walker is a celebrated writer, poet, and activist with a prolific career spanning 50 years. Her books include Revolutionary Petunias and Other Poems, The Color Purple, and The Temple of My Familiar. Her most recent book, Taking the Arrow out of the Heart, is an English/Spanish collection of nearly 70 works of poetry that bears witness to our troubled times. Valerie Boyd is the author of Wrapped in Rainbows: The Life of Zora Neale Hurston, winner of the Southern Book Award, and is editor of the forthcoming Gathering Blossoms under Fire: The Journals of Alice Walker. Santa Fe Public Schools, The Lensic, Performance Santa Fe, and Platinum Music Awards present the annual showcase of the musical talent of student performers featuring 240 musicians, dancers, and artists - bands, choir, rock, world music ensemble, string orchestra, and more! Emcee for the evening will be Santa Fe Public Schools Superintendent, Veronica C. Garcia. Help support music education in our schools and cheer on these incredibly talented students! One of the most successful operas of the later decades of the 20th century, Dialogues des Carmélites is a rare case of a modern work that is equally esteemed by audiences and experts. 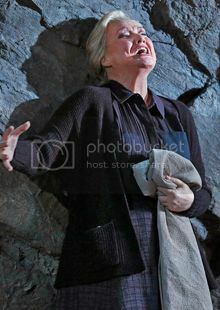 The opera focuses on a young member of an order of Carmelite nuns, the aristocratic Blanche de la Force, who must overcome a pathological timidity in order to answer her life’s calling. The score reflects key aspects of its composer’s personality: Francis Poulenc was an urbane Parisian with a profound mystical dimension, and the opera addresses both the characters’ internal lives and their external realities. Thanks to The Edgar Foster Daniels Foundation for its support. 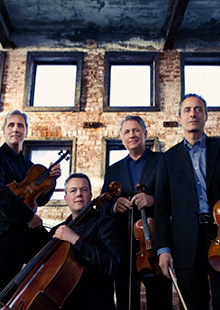 NMSA's year-end performance where students will take you on a journey through the arts. Production features multiple genres of music, dance, theatre, visual arts, and spoken word. 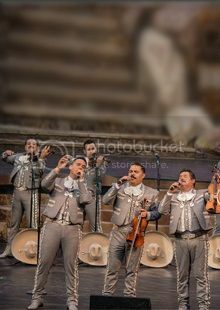 Tickets for NMSA's Gala performance on May 17, 2019 are $150 and can be purchased through NMSA at (505) 216-7888 x403, and at nmschoolforthearts.org/gala. Sponsorships also available. Gala tickets include 5 pm lobby reception, preferred seating for performance, and post-show gala at the Eldorado Hotel. Tickets go on sale to the public on Wednesday, April 17, 2019 at 10am. Enjoy an eye-catching performance by 200-plus talented young dancers from The School of Aspen Santa Fe Ballet! This highly anticipated recital is the culmination of a year of hard work showcasing ASFB students aged 3-18 from all over the Santa Fe area in original choreography and a few classics. From our tiniest ballerinas making their debut on the Lensic stage, to our most seasoned dancers, you can follow the progression of ASFB’s excellent training. Don’t miss the highlight of the school year! 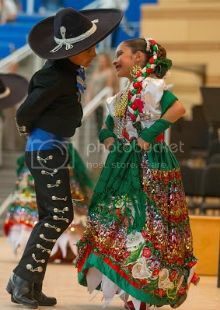 Over 140 students from the Santa Fe area come together to perform original choreography inspired by the traditions of Mexico. This performance showcases the students of Aspen Santa Fe Ballet Folklórico, our acclaimed after-school program designed to enrich the lives of children and inspire a new generation of creative thinkers. In celebration of folk dance from around the world, this evening will also feature students from our Flamenco youth outreach program. Be carried away by the vibrant culture, color, and infectious energy of Folklórico and Flamenco! 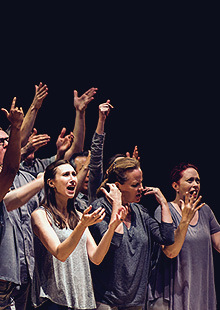 Through the visionary mind of director Peter Sellars, 21 singers transform Renaissance composer Orlando di Lasso’s final work into a powerful theatrical performance. Led by Artistic Director Grant Gershon, the Los Angeles Master Chorale presents its own season and regularly performs with the LA Philharmonic and Hollywood Bowl Orchestra. The versatile chorus is known for deft handling of contemporary works and for the sonic purity and musical finesse to perform early music, including the 20 sacred madrigals and concluding motet of Lagrime di San Pietro (Tears of St. Peter).